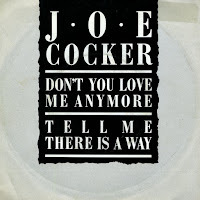 I don't have any Joe Cocker tracks, except this one. I already had the 12" single, which I bought two decades ago, but I decided I had to have the 7" single as well. So when the opportunity presented itself last month, I ordered it. Much to my surprise, this German pressing comes in a rather boring sleeve, whereas the UK version (at least, the 12" single I have was made in the UK) is much prettier with an actual photograph on the front cover. 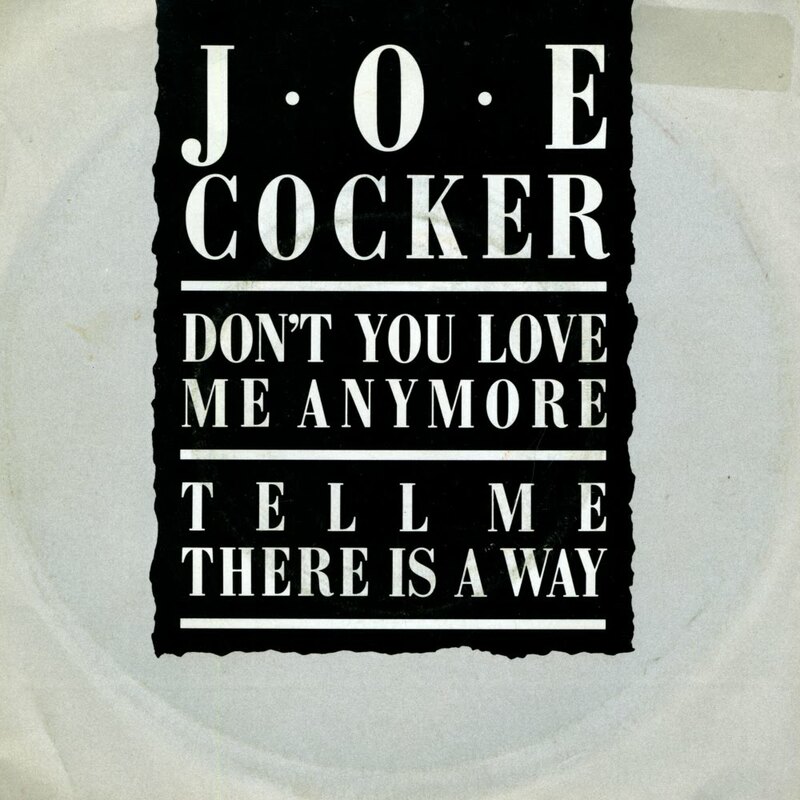 The song remains a true classic with Joe's devastated voice used to full effect. 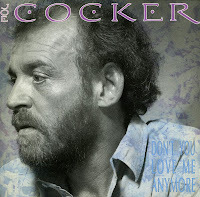 Highly acclaimed by audiences and critics alike, Joe Cocker has used his ruined voice to build quite a career for himself. Starting out in 1968, he's had numerous worldwide hits including the Beatles cover 'With a little help from my friends', 'Up where we belong' (with Jennifer Warnes) and 'Unchain my heart'. I've never been much of a Joe Cocker fan, for his voice is mostly irritating. On the melodramatic 'Don't you love me anymore', however, it is used quite effectively. Written by Diane Warren and Albert Hammond, you can't help but wonder why this poor man with almost no voice left was left out in the rain by a woman who, according to the lyric, 'used to hold [him] so close'. The extended version further drags out the misery, with the most terrible screams you will ever have heard. It's quite humorous, actually.